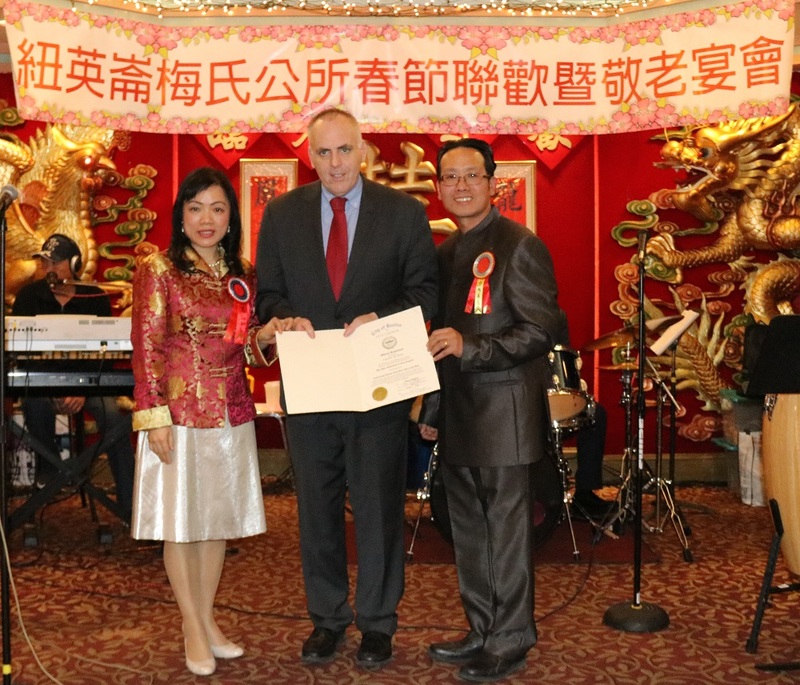 Boston, March 12, 2017, — Closed to 300 people, including Boston City Councilor Ed Flynn, attended New England Moy Shee Association Year of Dog Banquet last night at China Pearl restaurant in Boston Chinatown. The Chinese last name 梅 has several variations in English, such as Moy, Mei and Fong. Councilor Flynn (middle) presents a citation to Moy Shee Association. Guests enjoyed an evening of delicious food and wonderful music at the banquet. Please check out some videos from the banquet below.